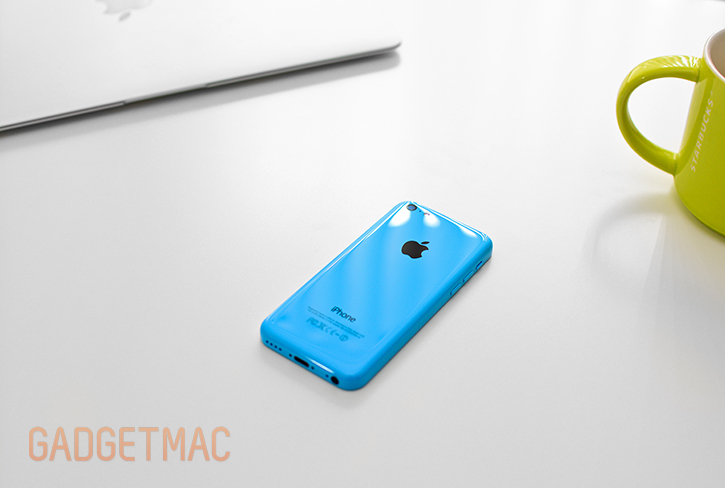 We've finally managed to get a hold of Apple's new plastic-fantastic iPhone 5C in blue, one of the five available color options the iPhone 5C comes in. As expected, it's as pretty up close as it is displayed on Apple's website. 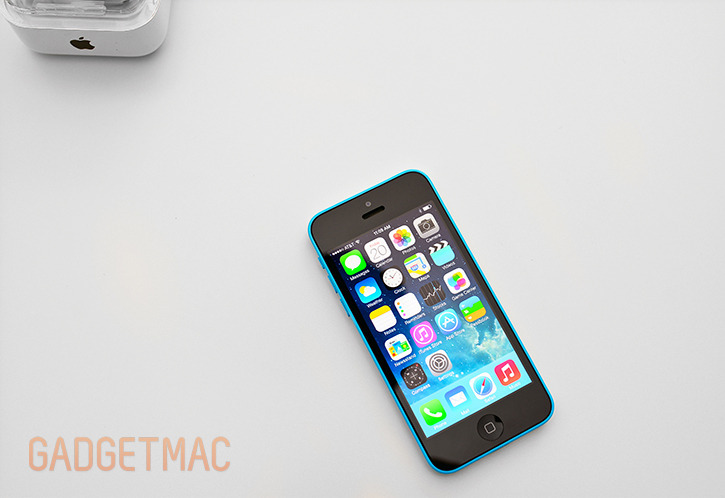 The iPhone 5C is Apple's more affordable iPhone 5 successor, essentially an iPhone 5 with a redesigned exterior shell. 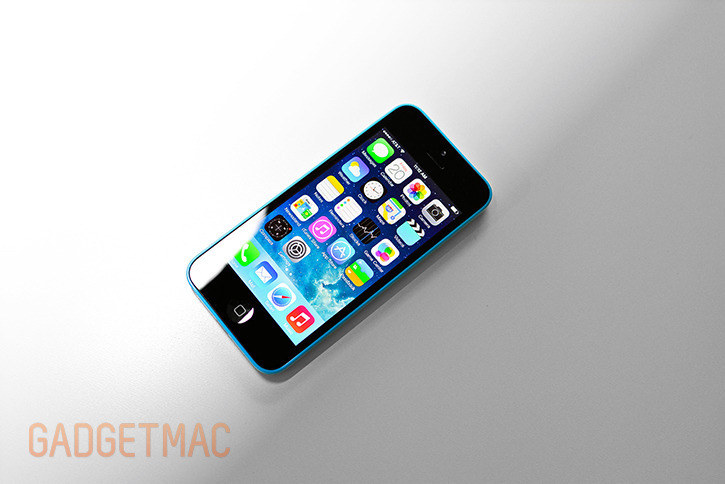 Instead of an expensive and more premium machined aluminum unibody, the iPhone 5C features a machined polycarbonate unibody casing reinforced with stainless steel interior chassis that gives the iPhone 5C its ultra-durable and rock solid construction. 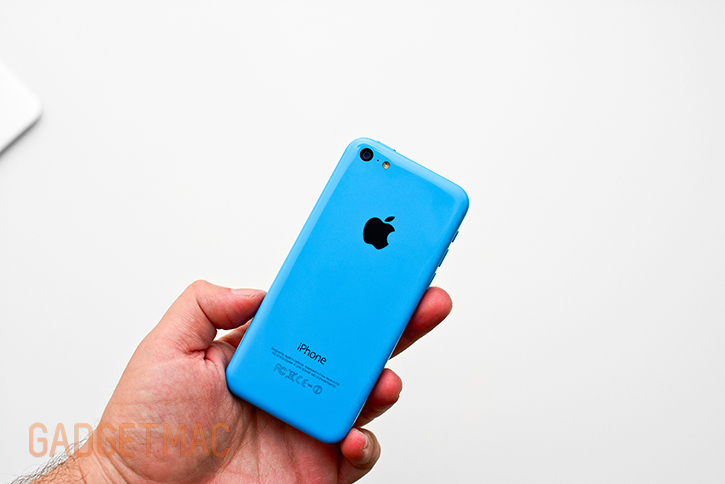 While sporting a radically different exterior design, offered for the first time in vibrant colors, the iPhone 5C's internal hardware are that of the iPhone 5 with the exception of slightly better battery life as well as a much improved 1.3-megapixel 720p HD front-facing FaceTime camera with a backside illuminated sensor - also found on the new iPhone 5S. It means that the iPhone 5C's A6 processor, 1GB of RAM, 4-inch Retina Display and 8-megapixel back-facing camera with a five-glass element f/2.4 lens make the 5C perform and feel just like the iPhone 5 in terms of performance. Snappy, fast and silky smooth operation goes without saying. 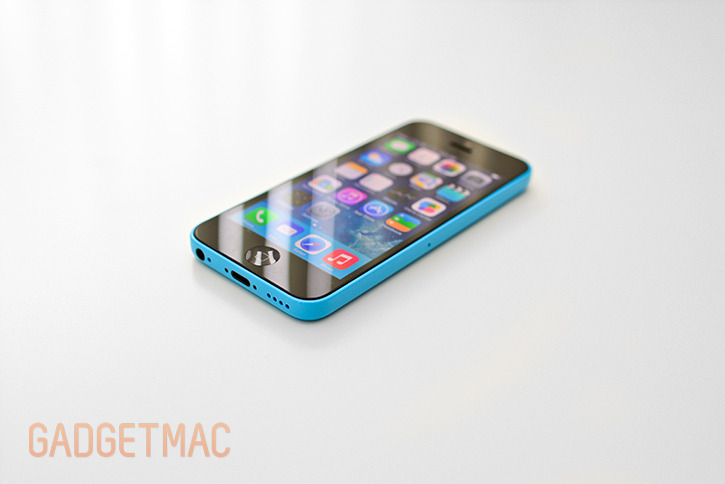 At $100 less than the iPhone 5 and iPhone 5S, Apple's iPhone 5C is no slouch and a force to be reckoned with. What might deter you from picking one up is the fact that it's still a plastic device, perceived by virtually everyone to be less superior to an all-metal device. 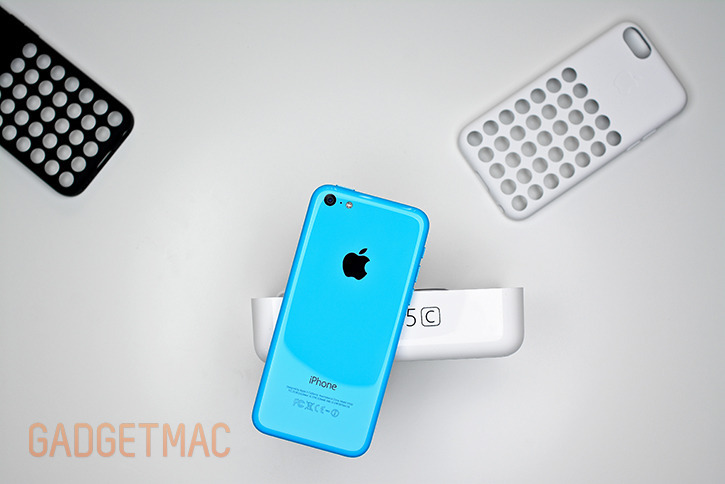 Drop on by after the break for our full unboxing and iPhone 5C hands-on gallery plus a lot more first impression details. 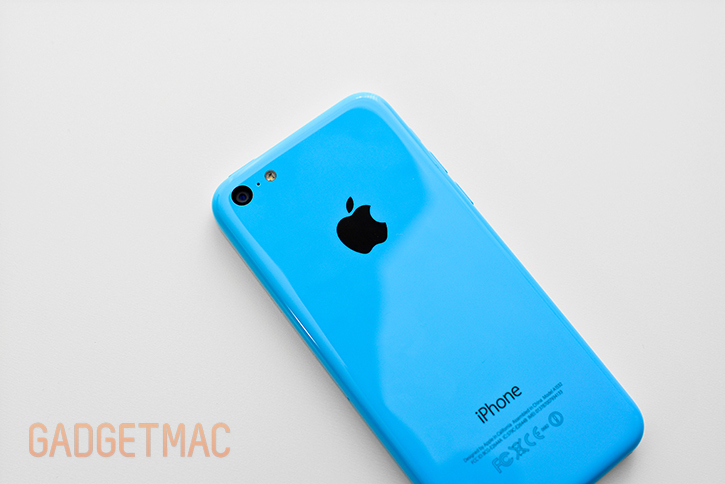 The question everyone has been asking since leaked parts and information surfaced around the interwebs long before Apple's announcement is whether the iPhone 5C feels like a cheap plastic colorful toy? No, it really doesn't. Far from it in fact. 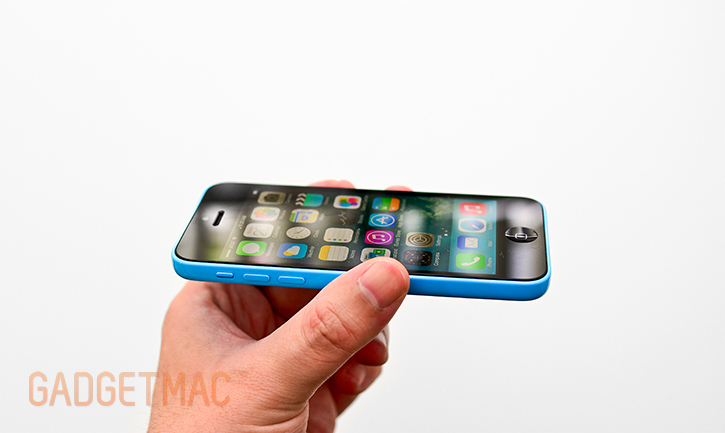 While it may look like a shiny hunk of plastic, the iPhone 5C is one of Apple's best iPhones. Remember the tapered plastic and metal iPhone 3G? 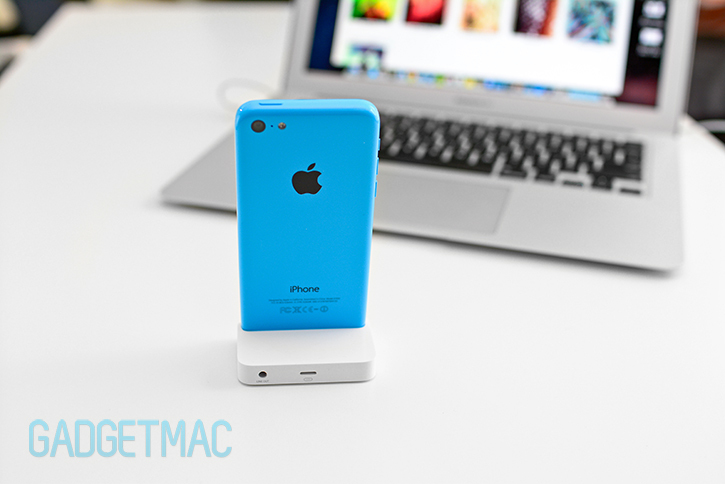 There really is no room for comparison, the 5C might as well be made out of solid piece of aluminum. 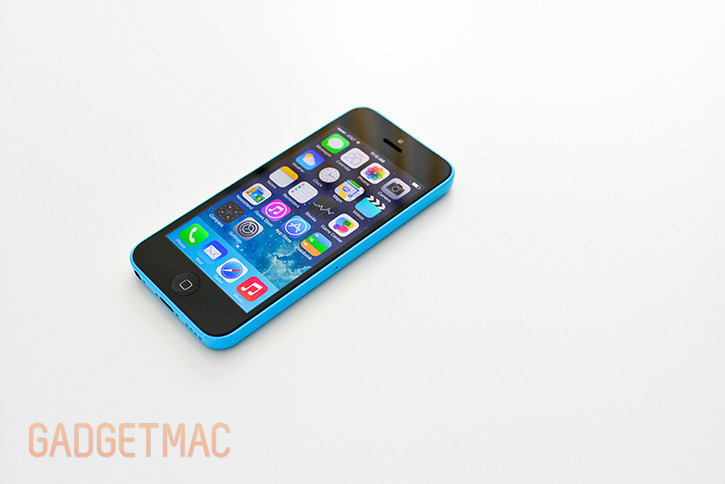 Apple's iPhone 5C is beautifully made, and as Jony Ive described it - "unapologetically plastic". And that's true we guess because there really is nothing to be sorry about. Nothing about the iPhone 5C feels plasticky or cheap, but rather feels a lot like holding a solid slab of beveled ceramic in the hand. 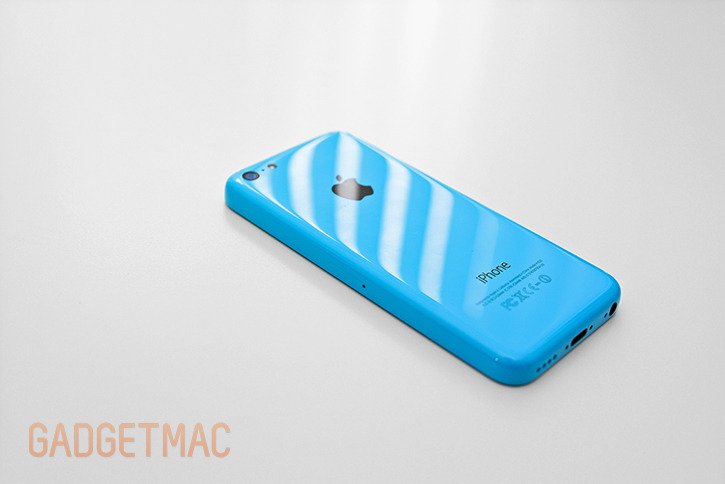 With a flat back and rounded edges - a design reminiscent of the original iPhone, albeit a lot more refined and polished; the iPhone 5C's high-gloss seamless polycarbonate shell creates a feel-good design. The color encases the front of the device too with this thin trim around the black front display which not only looks great, but also sets it apart from all other iPhone designs that we all know haven't really changed in that particular front. The home button is still the same iconic dimple with a square on it, yet it has less of a concave shape now. Plastic made phones are generally less susceptible to serious damage when dropped, but the iPhone 5C's 4-inch glass panel display isn't protected at all by the plastic unibody build. Instead, it protrudes out and is as vulnerable to cracking and shattering as the iPhone 5 and 5S in the event of a high-impact drop. 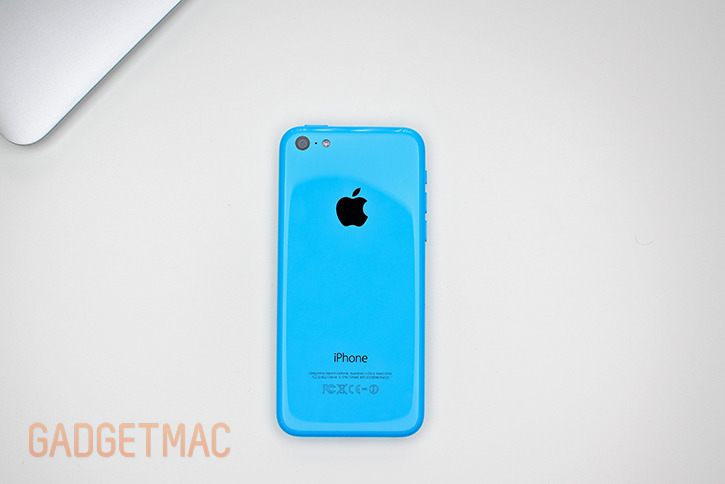 Apple's iPhone 5C Case case does take care of that problem by encasing the iPhone 5C with a front edge lip design that keeps the display recessed just enough that it won't come in contact with the surface when laid flat on its display. 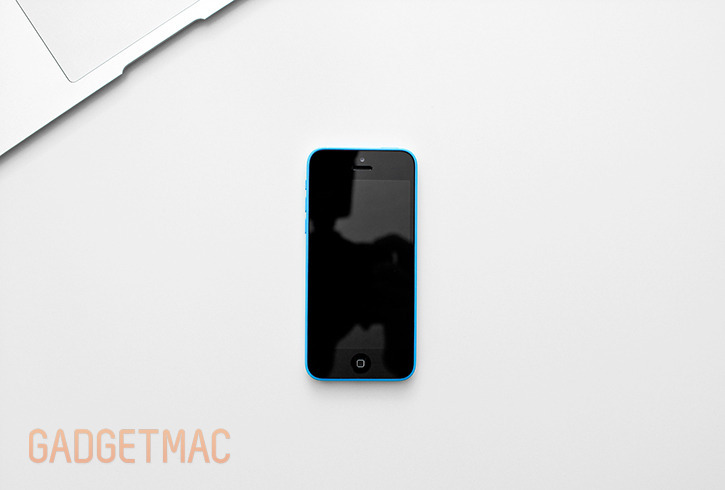 Other cases offer the same type of protection however, and you might want to check out our iPhone 5C case list for some great alternatives. Is it more impressive than Apple's aluminum iPhone 5 and iPhone 5S? Not at all. While the unibody polycarbonate plastic construction gives the iPhone 5C a substantial weighty quality with absolutely no flexibility to it, it's still not as "premium" of a device as the iPhone 5S and is actually slightly thicker as well. Granted it's got its own design going on which we think is less industrial and more minimalist and trendy by comparison, but it's still plastic. Shiny, slippery plastic. And still, anyone who puts their hands on a unit up close and personal will want to go home with it. 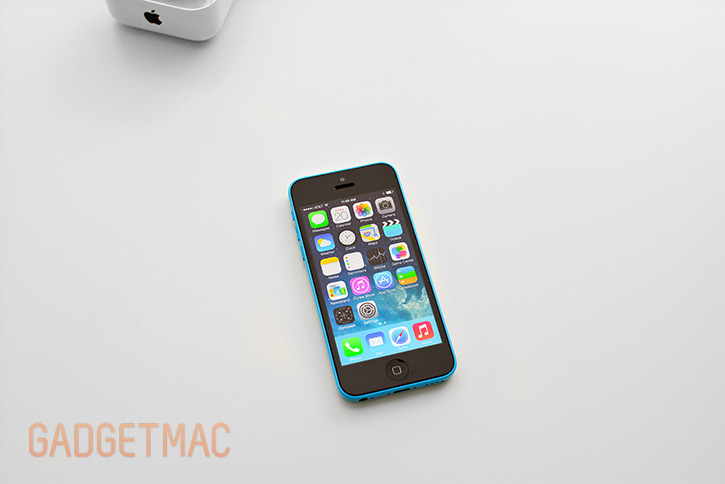 More than just a cheaper entry price, the fresh new design and bright glossy colors obviously play an important part in what will ultimately lead you to purchase an iPhone 5C. That, or the fact that it would make for a fantastic children's iPhone. Those vibrant colors all feature a contrasting black Apple logo around the back with a black 4-inch Retina Display panel as a non-optional standard, and by doing so Apple has kept its more premium iPhone 5S devices at an elegant distance. Paying more gives you more options. While you won't be able to score a hoarding 64GB model, you can pick up an iPhone 5C in 16GB and 32GB storage capacities for $99 and $199 with a two-year contract, or unlocked for $549 and $649. 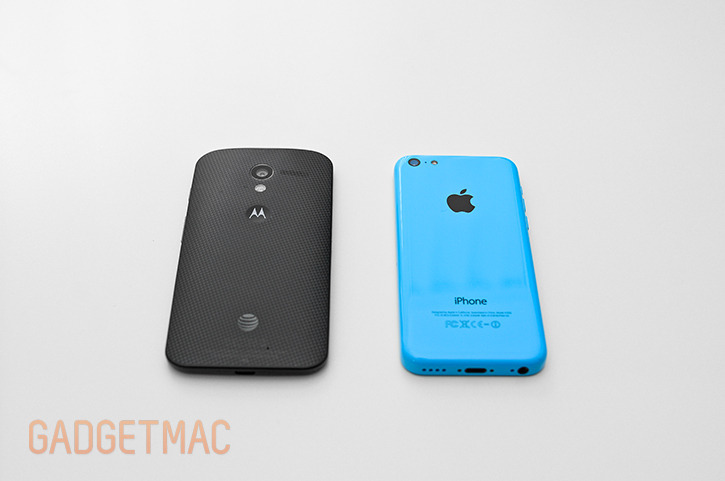 How does the iPhone 5C compare to other all-plastic Android phones, namely Motorola's sick looking Moto X? 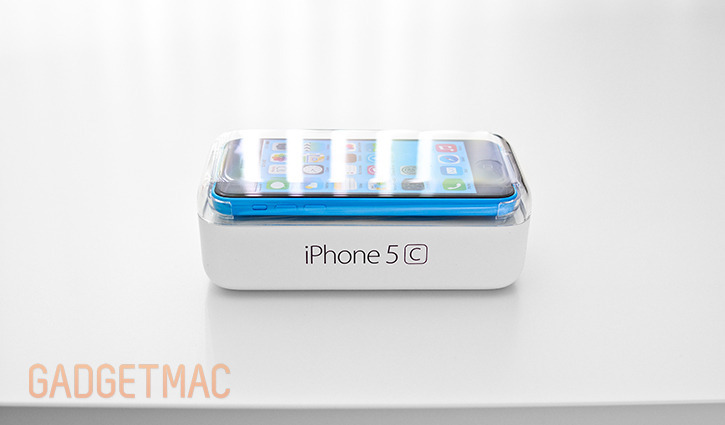 For starters, the iPhone 5C's candylicious polycarbonate casing is one of the very few plastic devices on the market to feature such a slick high-gloss polished finish. Granted, Apple has does a fantastic job with the finish on the 5C and it even made sure to hard-coat it for additional durability and protection - and it feels like touching smooth ceramic as a result. But it's also very slippery. The Moto X on the other hand, features a soft-touch rubbery matte finish that's a pleasure to hold and provides plenty of assuring grip. Both have different body shapes, contours and beveled edges - however they're equally as comfortable to hold and use on a daily basis. 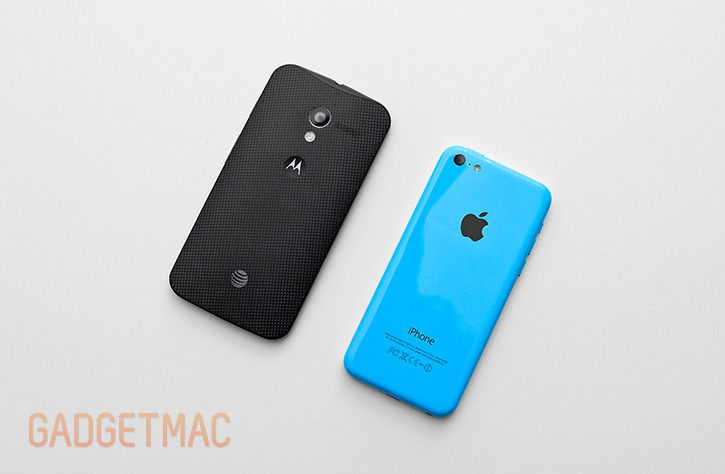 Surprisingly the iPhone 5C feels more durable, more planted and solid compared to the Moto X's construction, which is still pretty awesome no less. 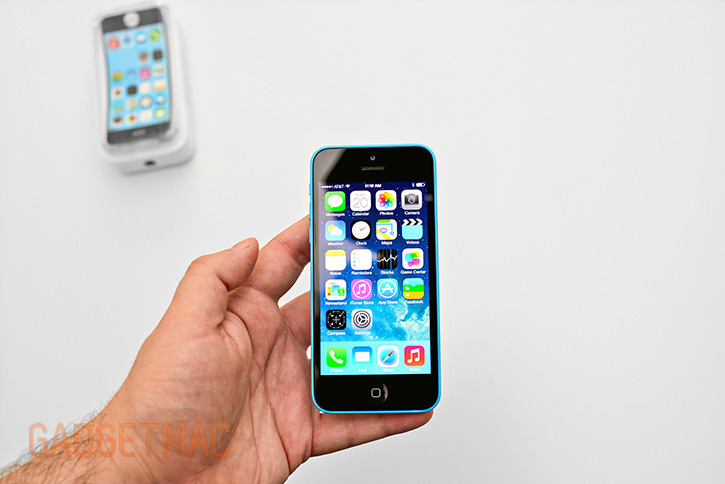 In the end, Apple did an amazing job with the iPhone 5C. It easily stacks up to other plastic made phones if not overtaking them with its incredible build quality including those made by highly coveted manufactures such as HTC and Nokia. Samsung's Galaxy S4 while being the most popular Android smartphone currently on the market, its huge 5-inch display and faux metallic-featuring plastic construction is no match for the 5C's ultra-rigid build quality and ultimately feels cheap in comparison. I think we've done enough to establish that Apple's iPhone 5C is anything but a cheaply built device or just another plastic-made phone. 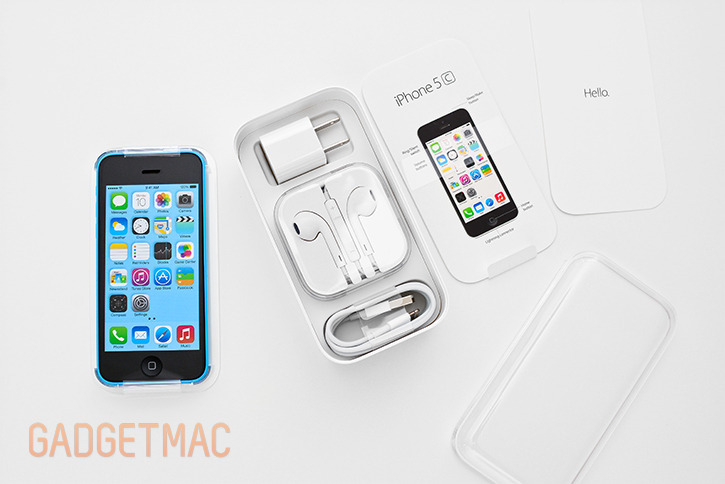 With the release of the iPhone 5C, Apple has also introduced two accessories for it. A $29 white plastic Lightning dock which you can use to charge and sync your iPhone 5C as well as connect it to external speakers and audio systems using its built-in audio output connection. Apple's dock is very similar to previous iterations, it's really small and literally doesn't take any desk space. Obviously it works great, but it really just works great as a charging dock and a display stand because tapping on the touchscreen does wobble it backwards a bit and it isn't compatible with any protective case - not even Apple's unfortunately.